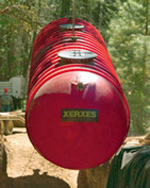 Xerxes water tanks have become a superior option for underground storage or processing of liquids in a wide range of applications, including green building or water conservation. Green projects that incorporate Xerxes fiberglass water tanks may qualify for points under the U.S. Green Building Council's Sustainable Sites and Water Efficiency categories of its Leadership in Energy and Environmental Design (LEED) rating system. 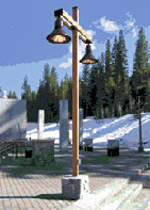 When your project requires steel or aluminum decorative lighting poles, Valmont has the answer. We have been enhancing streetscapes, walkways and residential neighborhoods for years with historic and contemporary designs. We meet your unique needs with the ability to create a variety of fluted cross-sections, including sharp, flat, or gear-tooth flutes at 8, 12 or 16 flutes per pole. We will help you with custom cross-sections, as well as decorative pole caps, cast nut covers, banner arms and cast bases.